BEET (RED), WHITE, & BLUE! Fourth of July weekend has arrived BEET Lovers! 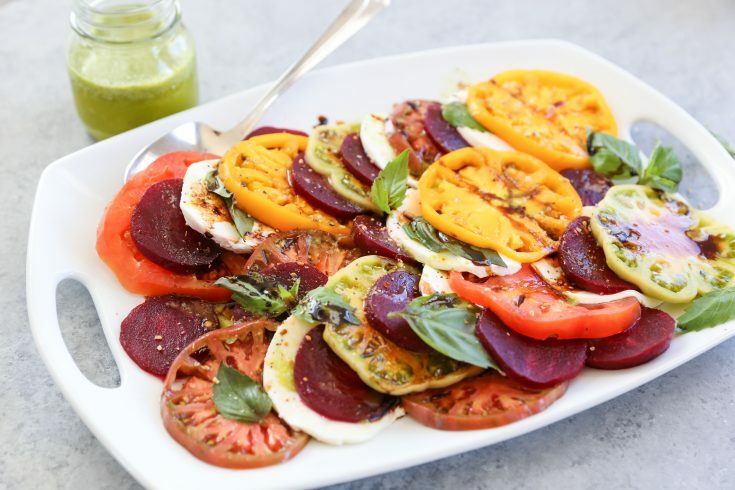 This season, Love Beets has all the tasty summer eats and patriotic recipes you’ll need. Whether it’s an appetizer, entrée, or dessert, we have it all right here! As we all know, beets are one of those foods that are a real pain to prepare. Our “ready to eat” and fresh Organic Cooked Beets are just the perfect addition to your summer cookouts and patriotic dishes, making life a little easier this summer! BEET (RED), WHITE, and BLUE! 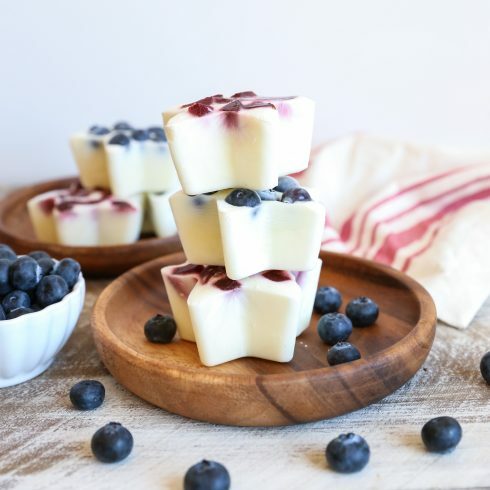 First up, we have some patriotic Beet Yogurt Bites for a healthy breakfast, refreshing snack, or tasty dessert. 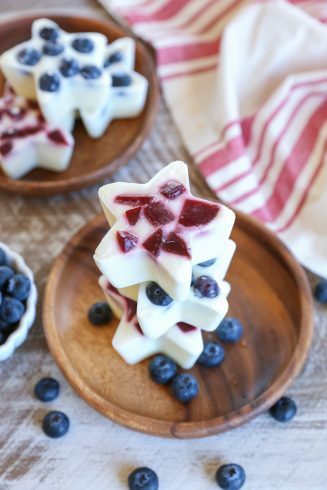 These little frozen yogurt stars are a simple crowd pleaser for your 4th of July festivities! Looking for a beautiful appetizer display for those summer parties? This next recipe is a MUST for all our Beet Lovers out there! Try a refreshing, light, and simple dish like our Beet Caprese Salad topped with lemon basil dressing. Finally, our Deconstructed Pesto Veggie Burger is loaded with all the goods! 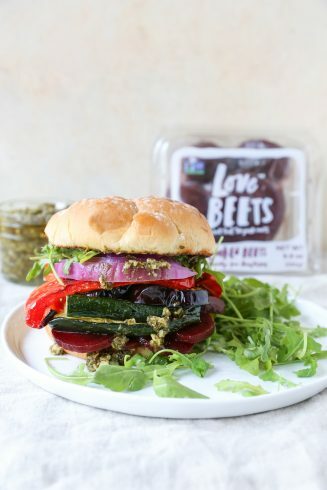 Eggplant, pepper, zucchini, arugula, LOVE BEETS, and more!